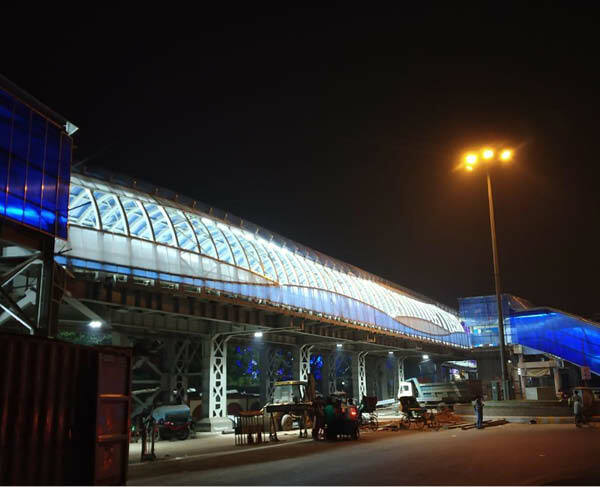 The ITO – Skywalk project that is located in New Delhi touches one of the lines of this complex grid of Urbanism. 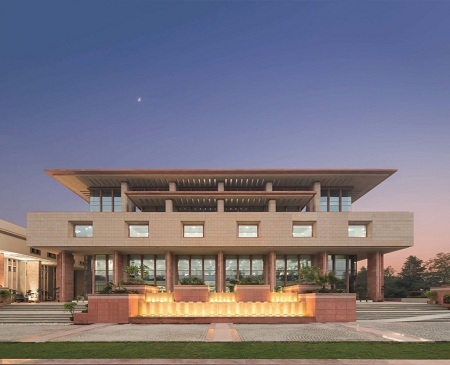 By understanding Urban Density that comes with its complexities to cater to Urban Infrastructure, it also manifests itself as a tool to address the issues of identity in urban infrastructure and mobility. The ITO and W point junctions cross cater to one of the busiest mobile cross-junctions in the city. 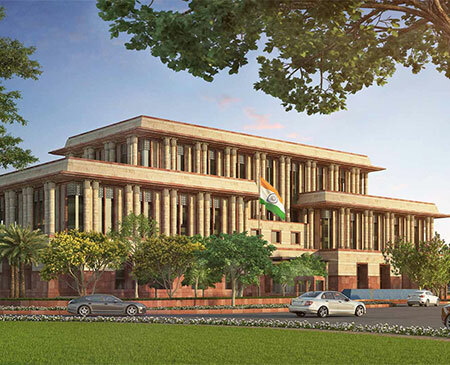 The intersections provide to around 25 significant offices and institutions in the city and the area such as ITO, Police Headquarters, PWD Headquarters, GST office, DDA Vikas Bhawan, CA Institute, Institute of Engineers, Supreme Court, Lady Irwin College, College of Arts, etc., to name a few. 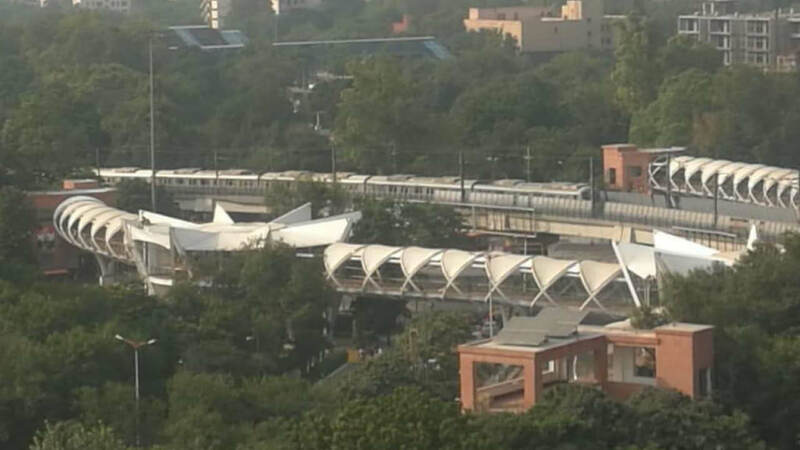 The area also includes a very robust, well-networked public transportation system with the ITO and Pragati Maidan metro stations along with Tilak Bridge Railway Station in proximity. The volume of traffic at the cross junction varies at peak hours between 16,000 PCU to 20,000 PCU and the W junction at around 12,000 PCU. There is a significant rush of pedestrian traffic at these junction points all through the day, especially during the peak office hours, in the morning and evening. Incorporating this in the approach to design for the rapidly burgeoning population density in our city centers, as a significant cause of concern, we aimed for solutions that allow our cities to expand and not implode. The lack of land available also being a major constraint in our densely-populated cities, further aids the design strategy. 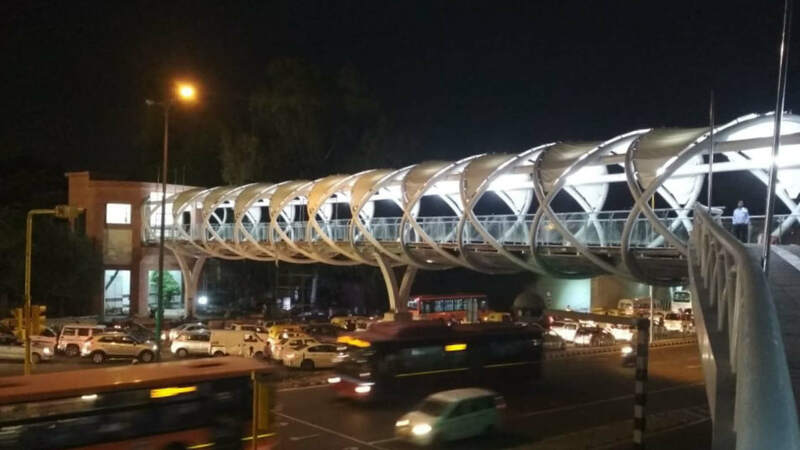 With the idea of catering to more than 30,000 pedestrians on a daily basis in the absence of free-flowing pedestrian walkways, the design intent was to make a Free on Board (FOB) skywalk, to allocate the mobility flow at the junctions of ITO. 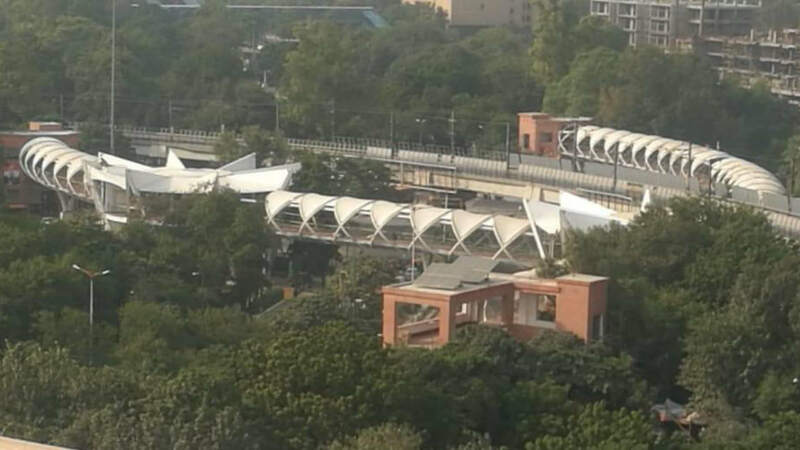 This would also avoid the haphazard management of the people using the railway tracks to cross Bahadur Shah Zafar Marg. Thus, the idea of bringing the FOB to the cross junction gives us connecting points to these daily problems of vehicular and pedestrian mobility ratio. 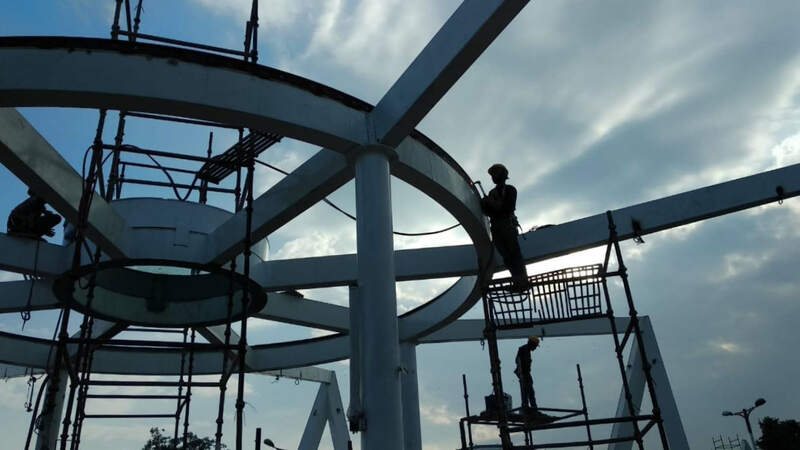 By combining these FOB’s with a skywalk, pathways make the daily commute between the junctions easier and less chaotic, also allowing for the vehicular traffic to move underneath in a free-flowing manner. These FOB’s also consist of 20 passenger lifts, Wi-Fi, solar panels lighting and CCTV. 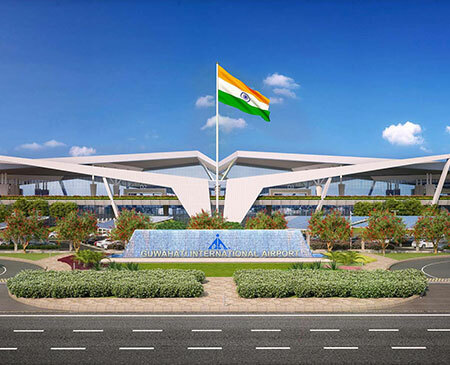 The constructed FOB at Hans Bhawan stands at the height of 58 meters along with constructed skywalk at the W cross junction which stretches at around 525 meters. 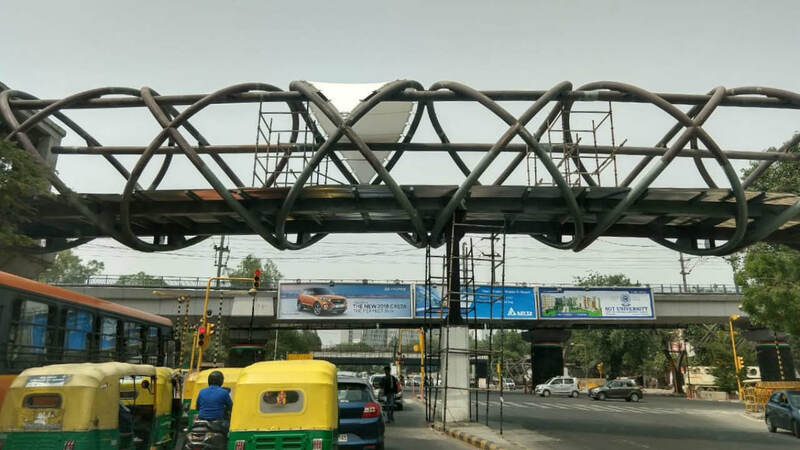 By creating a physical configuration towards the mobility infrastructural network to providing commuters with a connectivity of a sustainable alternative network, a better reach is enabled amongst the cross junctions in the busy ITO neighborhood of the dense metropolis city of New Delhi.